North and South Korea have embarked on their most ambitious efforts yet to end the Cold War on the Korean peninsula. The two sides have begun to dismantle structures at the DMZ. They are discussing wide-ranging economic cooperation and even co-hosting a future Olympics. Reunification remains a challenging task, however, given the enormous political, economic, and cultural divide between the two Koreas. Also, inter-Korean rapprochement depends at least in part on the success of nuclear negotiations between the United States and North Korea. Still, if successful, the current detente on the Korean peninsula promises not only to defuse one of the world’s most dangerous faultlines but also bring together a fractious region. It could even provide an example for the world of how to overcome ideological divisions to address common problems. 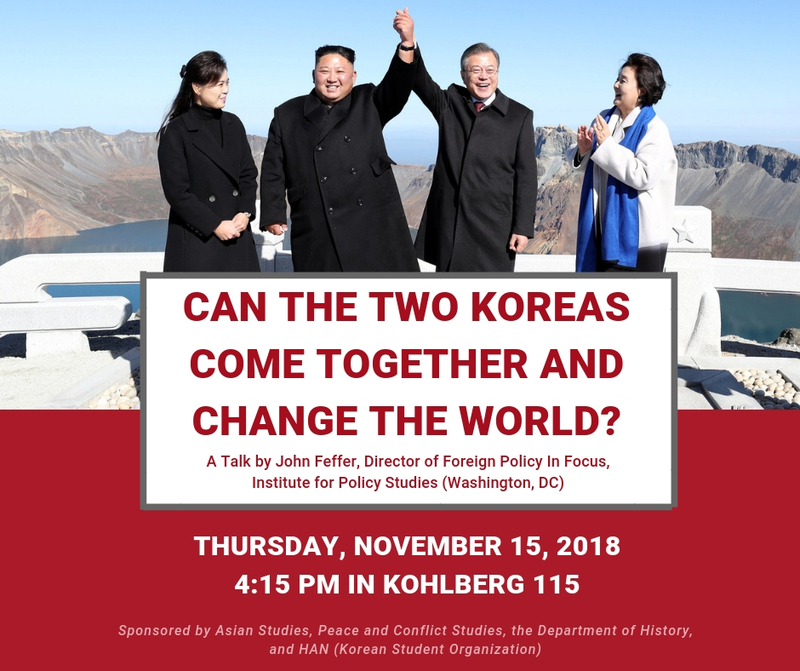 John Feffer is the author of several books, including North Korea, South Korea: U.S. Policy at a Time of Crisis. His most recent book is the forthcoming novel, Frostlands. His articles have appeared in The New York Times, The Washington Post, Foreign Policy, Salon, Fortune, and many other periodicals. He served as the East Asia International Affairs Representative for the American Friends Service Committee from 1998 to 2001. He is a graduate of Haverford College.